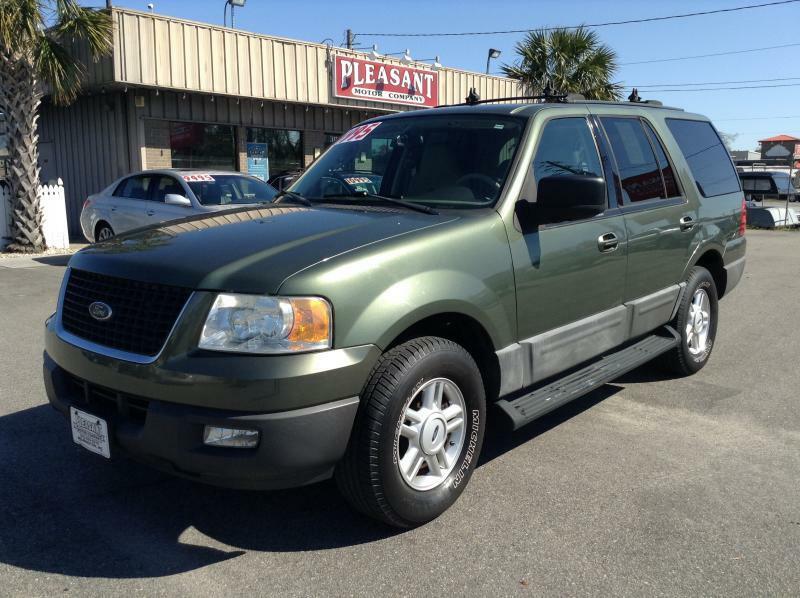 2004 Ford Expedition XLT V8 5.4L 2WD with 152k miles. Equipped with keyless entry, power windows, power door locks, power mirrors, heated mirrors, power seat, auto headlights, adjustable pedals, cruise, tilt, Kenwood stereo/dvd player, Back-up camera, usb port, aux port, ac/heat, rear ac, leather seats, airbags, power third row seats, running boards, tint, fog lights, roof rack, rear wiper, rear defrost, tow package, 17 inch factory alloy rims with a great set of Michelin tires. Visit pleasantmotorcompany.com, call 910-350-0210 or come see us at 6245 Market Street Wilmington NC 28405.